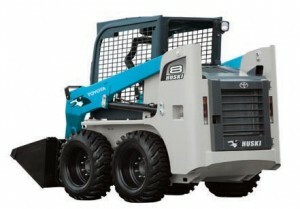 Toyota Huski skid steer loaders have been long renowned as the finest available. Strength, high performance and reliability have become synonymous with the Huski range. Developed and tested in Australia, the Huski 5SDK skid steer loader range features exceptional stability, driver comfort and safety. The soft touch control ensures smooth transition of the lever, allowing for precise maneuverability. The 5SDK skid steer loader range also provide owners with a product offering heavy-duty construction, low running costs and a longer machine life, adding true value to our customer’s business.